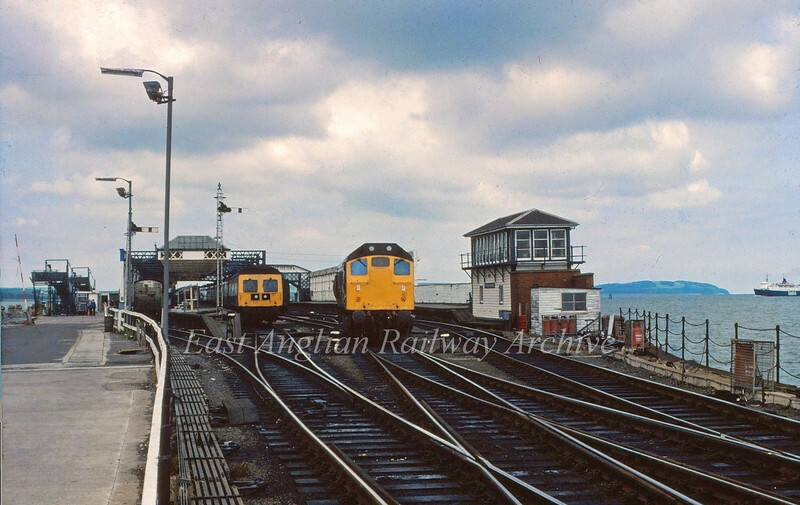 Stranraer Harbour on 15th July 1980. The 1310 to Glasgow waits at the platform with 25064 waiting by the signal box. To the right the Sealink ship "Antrim Princess" is arriving from Larne in Northern Ireland.